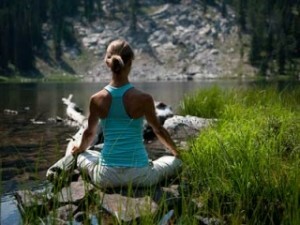 Spiritually cleansing the body and mind is essential for mental and physical health. As a psychic reader online I find I soon feel clogged up with other peoples problems. Hard as you may try to develop the hide of a rhino. Clutter in the home can fuzz up your senses too, so a good old clear out of cupboards and drawers can be a great mental lift. To cleanse yourself, imagine standing in an oval tank. This tank has an inlet hole at the top and an outlet hole at the bottom. Say a little prayer to the higher power and ask for cleansing to take place. To do this visualise a power water hose blasting in the top hole and visualize a grey matter escaping from the bottom hole at your feet. Visualise the water swirling around your brain and work your way down until you feel cleaner and lighter. Another way to cleanse yourself is to just brush your self down with your hands, from the top of your head, right down to the tips of your toes. The home can desperately need a spiritual cleansing and to do this. Buy Incense sticks or a sage smudge stick and light very carefully and walk around every corner of your home, even the cupboards and let the smoke cleanse and protect. In all cases a few words to upstairs asking for help to cleanse and protect will work wonders. I have to say I do not agree with throwing clothes and ornaments away if they have not been used for a year. I store my summer clothes for two years, then bring them out again. Goodness I forget exactly what I have by then! Same with winter clothes. This is not being mean, it is just not being wasteful. The fact is you liked those clothes before and chances are you will like them again, given a break from them.